Could we really maintain a dietary lifestyle that was so foreign to many of our ancestral populations without any ill effects on our health? Many researchers are now concluding that the answer to that question is "NO." What is certain is that the 'little knowledge' that the media often imparts means many folks assume cholesterol is simply a 'bad' thing. Alternately, a good number of us may have heard the terms 'good' cholesterol and 'bad' cholesterol bandied about without knowing much about what this really means. In fact it is a fairly safe bet that if you asked anyone on the street for his or her instinctive response, if asked about cholesterol, they would probably say that we simply need to 'reduce it'. "Based on these data, it would suggest that lower cholesterol predated the development of cancer by quite a long time. Now, that doesn't necessarily speak to [low cholesterol] causing the cancer; it could have been related to something else altogether, but it's not supportive of the hypothesis that cancer caused the low levels of LDL cholesterol. We don't know why it predates cancer, but it would be premature to attribute it to the cancer itself." Presenting at the American College of Cardiology 2012 Scientific Sessions, Lavigne said the association between serum cholesterol levels and cancer incidence was first documented more than 30 years ago. Another study published in 2008 by the same researchers showed a similar relationship between low LDL-cholesterol levels and incident cancer. "Most of the studies that have previously addressed this issue have looked at the relationship at one point in time," said Lavigne. "It's really difficult to trend the values to determine, for instance, if the cancer and control patients had cholesterol values that were the same, but then there was a preclinical cancer that caused a divergence. In our study, while the difference between the two groups was relatively modest, the relationship between [controls and cancer patients] was consistent, which means that whatever relationship was there was likely present before any cancer would have developed. In a sense, the lower LDL-cholesterol levels that were there predate any occurrence of cancer." Naturally this comes at a price and requires those who can afford it to pay maybe four or five times what a 'typical ordinary' product might cost. But is this apparent 'blanket need' to strive towards lowering our cholesterol justified? And, indeed, is it healthy? Cholesterol is needed to make hormones. Without it we would not produce estrogen, progesterone or testosterone. It is vital for the functioning of nerve synapses and provides the structural integrity for our cell membranes. Vitamin D is synthesized from cholesterol. And bile, used for fat digestion, consists mostly of cholesterol. The liver produces about 90 percent of the cholesterol in our bodies; only 10 percent comes from diet. If we eat too much cholesterol, the liver decreases the output of cholesterol. Cholesterol is a naturally occurring lipid. This means it is a type of fat or oil and it is in fact an essential component in creating and sustaining the membranes of the cells of all bodily tissues. So this alone means we need cholesterol to survive! Most of the cholesterol that is found in our bodies is actually naturally manufactured within our own cells. Being a lipid, cholesterol is fat-soluble, but it is not soluble in blood. However it needs to be transported around the body to the places where it can be utilized. This is why, in order to be moved around, it must become 'associated' with certain lipoproteins which feature a water-soluble (therefore 'blood transportable') coat of proteins. There are two key types of lipoproteins that transport cholesterol around the body: low-density and high-density variants. The essential cellular function of cholesterol requires that sufficient amounts are manufactured by specialized sub-systems (or organelles) within the body's cells called the endoplasmic reticulum. Alternatively, the cholesterol we need must be derived from our diet. The 'noddy-science' of the so-called 'functional food' manufacturers would have us believe that there is such a thing as 'bad' cholesterol and 'good' cholesterol. This is, in fact, totally untrue. The cholesterol itself, whether being transported by LDL or HDL, is exactly the same. Cholesterol is simply a necessary ingredient that is required to be regularly delivered around the body for the efficient healthy development, maintenance and functioning of our cells. The difference is in the 'transporters' (the lipoproteins HDL and LDL) and both types are essential for the human body's delivery logistics to work effectively. However, it seems that it has become common for humans to have a preponderance of 'unhealthily' small LDL particles, which can become a precursor to heart and arterial disease due to the mechanisms described. It is apparently healthier to have a smaller number of larger LDL particles carrying the same quantity of cholesterol than a large number of small LDL particles might transport, but for some reason this is less common. This is an interesting area that demands more research. When LDL becomes retained by the glycol-proteins in the arteries it is subject to being oxidized by 'free radicals'. This is when the process can become health threatening. It has therefore been suggested that increasing the amount of antioxidants in our diet might effectively 'mop up' free radicals, and consequently reduce this harmful oxidation. Although the idea of consuming foods rich in antioxidants, or even using supplements, is now widely promoted, the scientific evidence for their efficacy still remains to be fully established. Vitamin B3, otherwise known as niacin, on the other hand, actually lowers the amount of VLDL, and therefore also LDL. In addition, niacin helps to stimulate the production of helpful HDL, the lipoprotein that carries excess cholesterol back to the liver for excretion. However, in keeping with the best traditions of consuming 'all things in moderation', currently recommended upper limits for daily intake of niacin is 35mg, given that it can have toxic effects in larger amounts. However one of the fashionable types of pharmaceutical drugs of recent times, introduced to treat the apparently increasing incidence of high cholesterol levels particularly in the West, are Statins. Most likely you have a friend or relative taking these useless drugs (Lipitor, Mevecor, Crestor, etc.) to lower cholesterol. Statin medications are the number-one-selling drugs in the world. They work by interfering with the liver function and reducing the production of LDL. But Statins are a questionable innovation on at least a couple of accounts. Firstly they are not without side-effects: they can, for example, lead to the breakdown of major muscular material, which can ultimately overwhelm the kidneys and even cause acute renal failure. But they may also be prescribed without the over-arching message that in order to address any cholesterol problem 'naturally', the sufferer must change their lifestyle and diet. Statins can seem an easy option but may indeed merely be the beginning of a process where the 'negative health pay-off' is simply delayed rather than actively defused! Dr. Ron Rosedale talks about common cholesterol myths, and exposes the deceptions and misconceptions that most people have been told. The so-called "bad cholesterol" - low-density lipoprotein commonly called LDL - may not be so bad after all, shows a Texas A&M University study that casts new light on the cholesterol debate, particularly among adults who exercise. ...is published in the Journal of Gerontology. It's perhaps one of the biggest health myths propagated in western culture and certainly in the United States. Unfortunately, despite dozens of studies, cholesterol has not been shown to actually cause cardiovascular disease as doctors tell us. To the contrary, cholesterol is vital to our survival, and trying to artificially lower it can have detrimental effects, particularly as we age. The 'noddy-science' offered by marketing men to a generally scientifically-naive public has led many people to believe that we should replace certain food choices with specially developed products that can help 'reduce cholesterol'. Naturally this comes at a price and requires those who can afford it to pay maybe four or five times what a 'typical ordinary' product might cost. But is this apparent 'blanket need' to strive towards lowering our cholesterol justified? And, indeed, is it healthy? For anyone who has had the official diagnosis of 'high cholesterol' in their bloodstream, they may even have embarked upon a program of medicinal intervention. 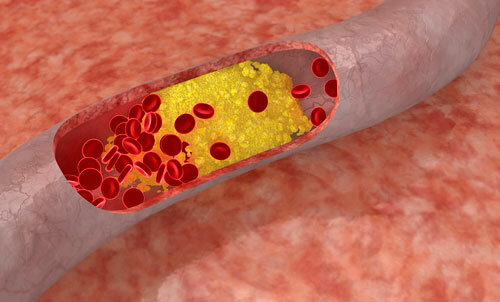 Cholesterol is found in all humans and is a type of fat around the body. A person’s total cholesterol level is comprised of LDL (low-density lipoprotein) and HDL (high-density lipoprotein) cholesterol. HDL, usually called the "good cholesterol," often helps remove cholesterol from arteries. "But here is where people tend to get things wrong," Riechman says. "LDL serves a very useful purpose. It acts as a warning sign that something is wrong and it signals the body to these warning signs. It does its job the way it is supposed to. "People often say, ‘I want to get rid of all my bad (LDL) cholesterol,’ but the fact is, if you did so, you would die," the Texas A&M professor adds. "Everyone needs a certain amount of both LDL and HDL in their bodies. We need to change this idea of LDL always being the evil thing - we all need it, and we need it to do its job." "Our tissues need cholesterol, and LDL delivers it," he notes. "HDL, the good cholesterol, cleans up after the repair is done. And the more LDL you have in your blood, the better you are able to build muscle during resistance training." Riechman says the study could be helpful in looking at a condition called sarcopenia, which is muscle loss due to aging. The Huffines Discussion is where great speakers and leaders in Sports Medicine talk about the future in a manner understandable to all. Today's talk is from Dr. Steve Riechman, Texas A&M University, who talks about "Eat More Cholesterol for Your Health and Strength". This is a great talk that may challenge many of the beliefs you may have about cholesterol. Click here for Dr. Riechman's bio. Previous studies show muscle is usually lost at a rate of 5 percent per decade after the age of 40, a huge concern since muscle mass is the major determinant of physical strength. After the age of 60, the prevalence of moderate to severe sarcopenia is found in about 65 percent of all men and about 30 percent of all women, and it accounts for more than $18 billion of health care costs in the United States. "The bottom line is that LDL - the bad cholesterol - serves as a reminder that something is wrong and we need to find out what it is," Riechman says. "It gives us warning signs. Is smoking the problem, is it diet, is it lack of exercise that a person’s cholesterol is too high? It plays a very useful role, does the job it was intended to do, and we need to back off by always calling it ‘bad’ cholesterol because it is not totally bad."